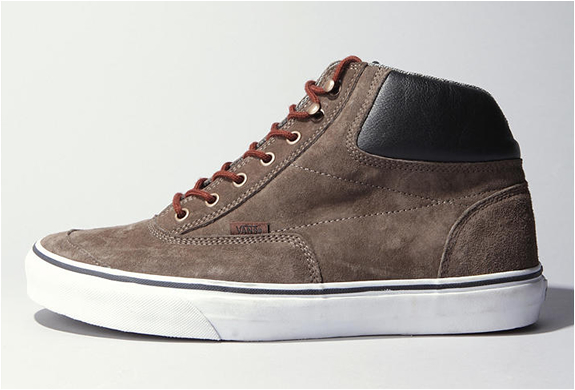 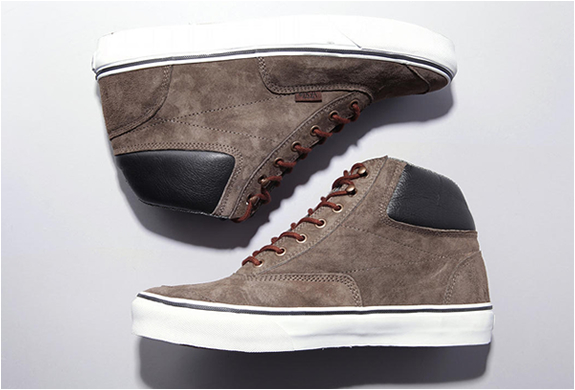 The Switchback Boot is a modern mid-top boot by Vans with a rich suede upper, accented with leather panels at the plush collar. 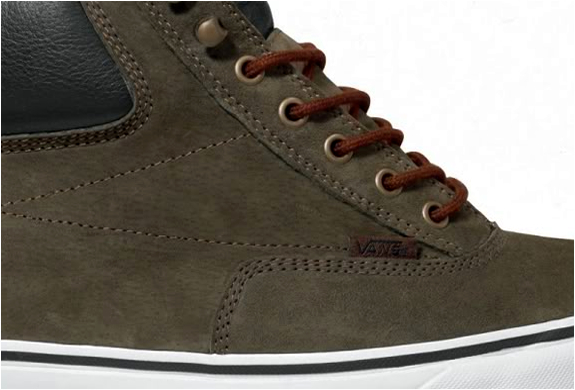 Corded lacing system a supportive foot bed, with vulcanized rubber midsole and coordinating strip and reinforced toe. 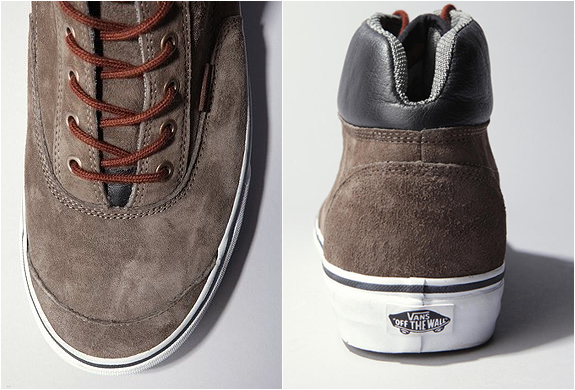 Finished with a studded rubber sole.